Forster Tuncurry is located on the stunning North Coast of NSW and is rich in Triathlon history, being the famous birthplace of Australian Long Course Triathlon events. Whether it is for a week or just the weekend, Forster Tuncurry is a scenic playground with a mountain of holiday activities to enjoy. 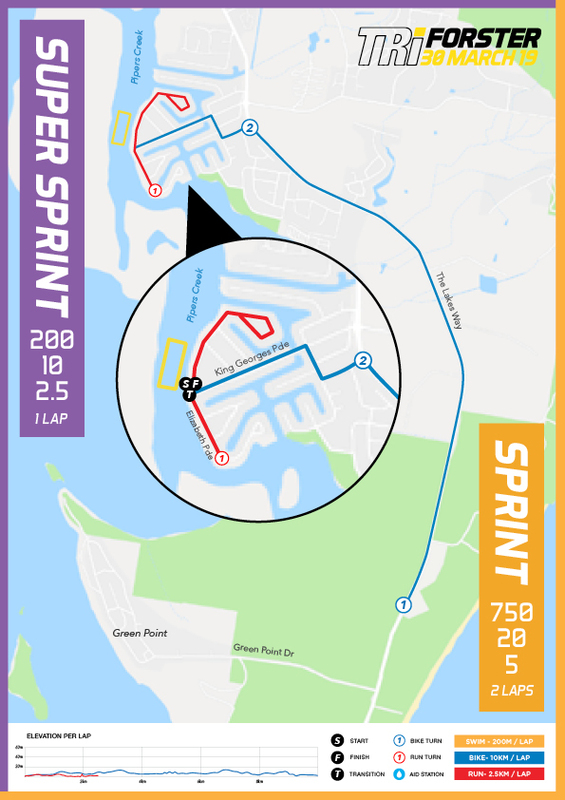 Part of a weekend of triathlon festivities including the Super Sprint, Sprint, Standard and the signature Ultimate Forster. 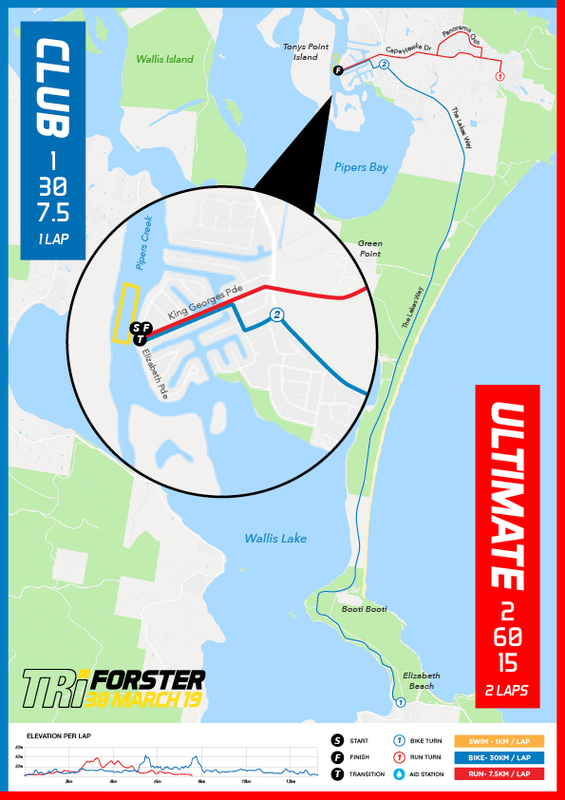 The signature event for the festival, the Ultimate Forster event offers a challenge most will find hard to pass up. Sign up to test your mettle at the Australian birthplace of long distance triathlon. The Super Sprint is for for everyone. The very achievable distances lend themselves to those that want to “give triathlon a go” and to those that want to race a “super short and super fast” distance. Race in a supportive atmosphere amongst other like minded people and become part of the thrill and excitement of triathlon racing whilst gaining the absolute joy and pride that comes with accomplishing a personal goal. Not up for the Ultimate event run leg? This is the perfect event for you! Maybe you are suffering from an injury that requires non-impact activity, maybe you just don’t like to run or maybe you have another event on the horizon and don’t want to wear yourself out. 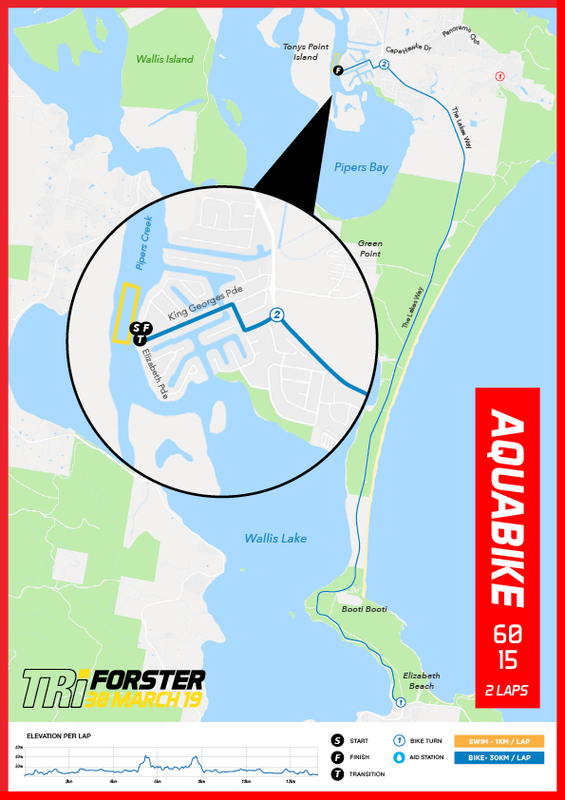 With the addition of Aquabike to Ultimate Forster, you can now be part of the action. The start and finish line for all events is at Elizabeth Parade, Forster Keys. Parking – The BEST place to park for all supporters is up on Cape Hawke Drive just a short walk to the start, it also gives spectators and participants an easy route in and out of the area. Volunteering is a fun, exciting way to learn the ropes and experience firsthand the world of triathlon. Whether you are a parent, student, work experience person, retired and looking for something to do, or even just a keen sports fan – volunteering is a great way to engage with the community and get to know people within the sport. Make the experience even more memorable by getting your friends, youth group and/or family to join in! As a gesture of thanks, we will help you fundraise for a school, sporting group, community group or charity – for excursions, sporting events, equipment, programs and anything else that needs a financial boost. An important part of Elite Energy’s vision and strategy, is to be a respected and supportive organisation that is passionate about involving the local community in each of their events. Over the years, we’ve been inspired to see the difference we can make through helping local schools, organisations and charities with our fundraising initiative and associated partnerships and in just the last twelve months has donated over $100,000 back into the community. We draw thousands of people to each of our events and they love all the support from volunteers. Volunteers are the reason we get to do what we do – without them, there would be no us! Many different roles to choose from – from registering the athletes in their races, to helping them go the right way on their run and bike courses, all the way through to providing them with food and water, post event. There is a role for everyone! Snacks (lunch if applicable) and water provided on the day. The chance to meet new people, create new opportunities and build lifelong experiences. The opportunity to meet some truly inspiring people!!!! Supporting local and interstate athletes of all levels. Be a part of an amazing event. How was Forster Triathlon Festival? Can you wear a wetsuit for the swim? Hi there. The water temperature reading is taken on race morning by a Triathlon Australia Official - if the water temperature is under 22C then it will be optional for athletes to wear a wetsuit, i.e. you can wear one but you don't have to.